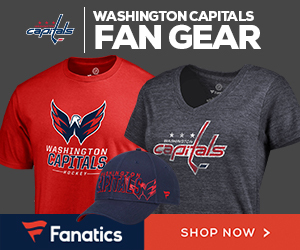 Recently, Monumental Sports started a rewards program, giving gifts of choice to dedicated fans and season ticket holders of the Caps, Wizards and Mystics. At first, the hot item was the Mike Green (Away Jersey) Bobblehead. But now there’s more to get excited about. Not only is Green available for redemption, but Monumental recently added Nicklas Backstrom and Alexander Ovechkin bobbleheads – also in their road jerseys. Sporting the same pose, all three bobbleheads feature the players standing at attention in their Washington Capitals road jerseys with a smile on their faces. The Green bobble was available for a measly 1100 points, but the Nicky and Ovi whacky wobblers will run you a tad more, 1500 and 2000 points, respectively. We’ll continue to keep you updated on these sick rewards, Caps fans, so make sure to keep your eyes peeled because from the looks of it, this is only the beginning.